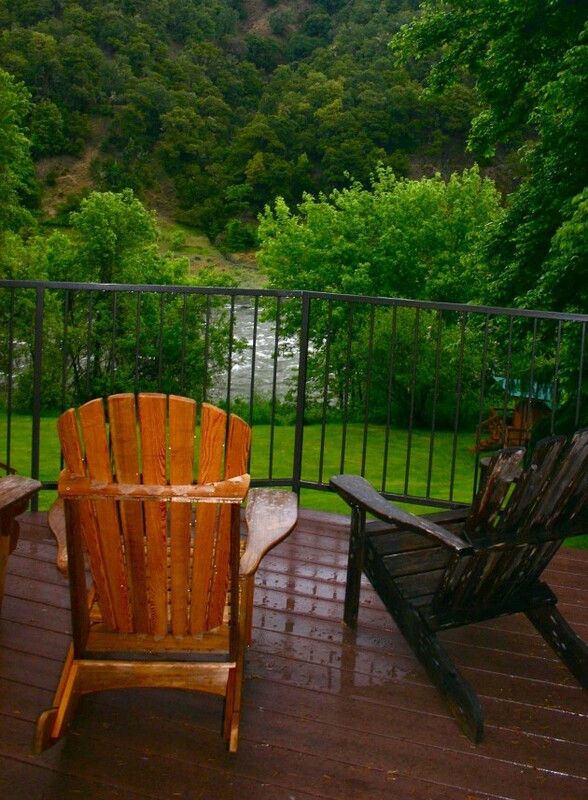 The River House, historic Sundance Lodge, is located right on the banks of the Rogue River and it is the last private property on the river before it enters the Wild and Scenic Rogue Wilderness. Adjacent are thousands of acres of protected wilderness lands, with include the diverse Rogue River ecosystem, watersheds and wildlife. These secluded accommodations include a large deck overlooking the river, from which it is not uncommon to see Bald Eagles, Ospreys, and Great Blue Herons. Otters occasionally scamper along the shore, and deer stroll on the green lawn. The small rapid out front, adds a gentle melody to the ambiance that is the Sundance Lodge experience. Your kayaking home provides sleeping accommodations (double occupancy), meals, (gourmet of course, and with attention to dietary restrictions, and a friendly, supportive atmosphere of river people ready to help you meet your whitewater kayaking goals and make sure your experience is relaxing and fun. After a long day of kayak instruction, sit back, relax, and enjoy the river views from the Riverhouse. Quarters: Guests stay in private screened sleeping cabins situated along the bank of the Rogue River. For more traditional lodging, a guest room with private bathroom is available in the Main Lodge. Food: Inside the Main Lodge, the Riverhouse chef will prepare delicious family-style meals for you. Meals are healthy, using fresh, local ingredients when possible, and hearty enough to fuel hard-playing kayakers. Great Room: A comfortable classroom in the form of our cozy living room with stone fireplace, the Great Room serves as our meeting area each day for theory sessions, and video review. It is also a comfortable space for reading, playing cards, checking your email, or relating that day’s on-water adventure or style move to your fellow kayaker. Sundance: The location of the lodge couldn’t be better for the beginning kayak courses. It is situated right in the middle of a twelve mile section of river, containing various segments of whitewater rated class 1-2+ that provide ideal learning conditions. Public access at various points along this stretch allow for morning and afternoon on-water sessions, and daily shuttles for kayaking trips are typically only about 10 minutes long. 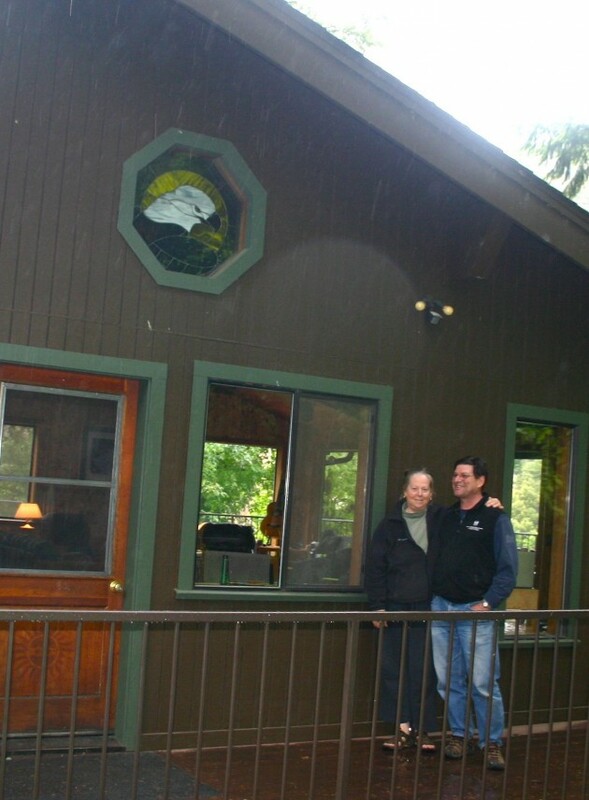 The Riverhouse serves as an excellent home base for Sundance Kayak School. Relax in the spacious great room and dining area, or head outside to enjoy the view from the expansive open-air deck overlooking the river.We invite you to learn the exciting and empowering sport of whitewater kayaking, while enjoying low-tech, simple and comfortable accommodations on the bank of the river.